You may ask yourself several times, “Don’t all flat irons come with an adjustable temperature setting?” The answer would surprisingly be NO. I have seen lots of flat iron with temperature settings on an average of 400 degrees. You can say goodbye to your curls forever if you use a flat iron at that temperature! Having an adjustable temperature setting will allow you to set the temperature that works perfect for you. For your hair straightening, you should not need temperature higher than 350 degrees. Traditional wisdom says that the longer your hair is the broader the plates on the flat iron should be. But until you’ve long hair that you want to keep long for some time, the 1-inch wide plate will do the same function. The reason behind it is – plates made of high quality will do their work quickly, no matter how long your hair is, and the thin plates give the best results to your all-over straightening. Here’s the science lesson of your week: Ions are small particles that stay in the air carrying a positive and negative charge. And when it comes to hair, positive ions damage, dry and frizz your hair. Conventional plastic and aluminum heat elements contain positive ions, causing damage. But there are certain elements that cut out the effect of positive and negative ions. Cool? You must be wondering, what are those elements? Titanium, tourmaline and ceramic. That’s the reason why these words are always associated with high-end fl at iron. It must have 100% ceramic technology, not nano! When you look at the word “infrared” or “nano,” be careful! Nano simply means “small.” So, if a flat iron has “nano ceramic technology,” don’t just go for it because it contains small particles of ceramic. It’s not good for your hair. Infrared basically explains the type of heating ceramic provides. If an iron has “infrared”, it means it includes ceramic, but if the label level doesn’t say that much about it, the level of ceramic is quite low. Tourmaline, on the other hand, generates negative ions, making your hair silkier, shinier and smoother. You are about to spend $1,000 on a flat iron that is made of titanium, ceramic or tourmaline, having adjustable temperature setting and is about 1 inch wide. If you are hesitating to spend that much, just ask yourself if you’ve ever given that much on a salon visit? 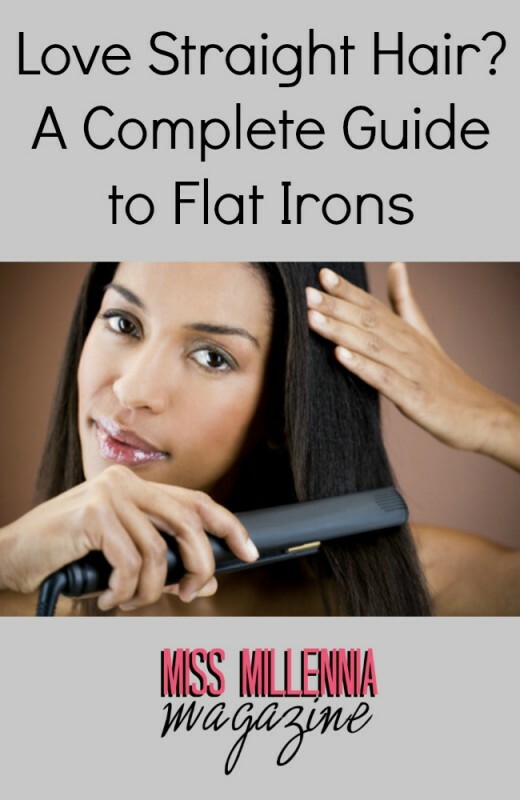 Spending on a good flat iron will give you benefits and used again and again for years!